Director/Screenplay – Stephen Sommers, Based on the Novel by Dean R. Koontz, Producers – John Baldecchi, Howard Kaplan & Stephen Sommers, Photography – Mitchell Amundsen, Music – John Swihart, Visual Effects Supervisor – Joseph Grossberg, Visual Effects – Buf Compagnie (Supervisor – Fabrice Lagayette) & V-Dome (Supervisor – Johnny Wilson), Special Effects Supervisor – Randy E. Moore, Makeup Effects – Amalgamated Dynamics (Supervisors – Alec Gillis & Tom Woodruff Jr). Production Company – Fusion Films/Future Films. Odd Thomas is a short order cook who lives in the small desert town of Pico Mundo. He and Stormy Llewellyn are very much in love with one another. Odd Thomas also has a number of peculiar abilities, including being able to see the dead. He follows directions from a murdered young girl and is able to apprehend her killer. He now sees bodachs, invisible creatures that come to feed on death, swarming over Pico Mundo in unprecedented numbers, which leads him to believe that a disaster of apocalyptic proportions is about to occur. The bodachs seem to be congregating around a man he and Stormy nickname Fungus Bob. 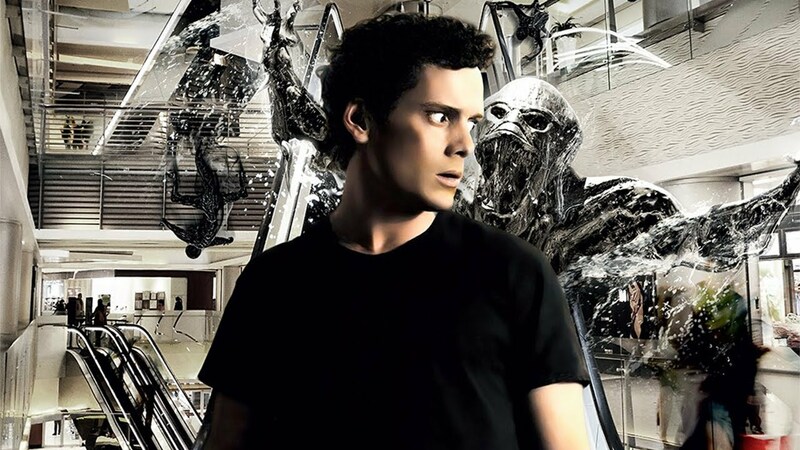 In following Fungus Bob and trying to prevent the coming disaster, Odd Thomas is placed on a trail of murder and cryptic dream clues of events that are about to occur. Dean R. Koontz is a horror novelist whose popularity runs only second to that of Stephen King. He has published over ninety novels since 1968 (which averages about two a year). These been adapted in a number of films and tv mini-series with the likes of Demon Seed (1977), Watchers (1988), The Face of Fear (1990), Servants of Twilight (1991), Whispers (1990), Hideaway (1995), Intensity (tv mini-series, 1997), Mr. Murder (tv mini-series, 1998), Phantoms (1998), Sole Survivor (tv mini-series, 2000), Black River (tv movie, 2001) and Frankenstein (tv mini-series, 2004). Koontz spun Odd Thomas (2003), which this film directly adapts, out into a series of books based around the eccentric title character consisting of Forever Odd (2005), Brother Odd (2006), Odd Hours (2008), Odd Apocalypse (2012), Deeply Odd (2013) and Saint Odd (2015), as well as several original graphic novels. 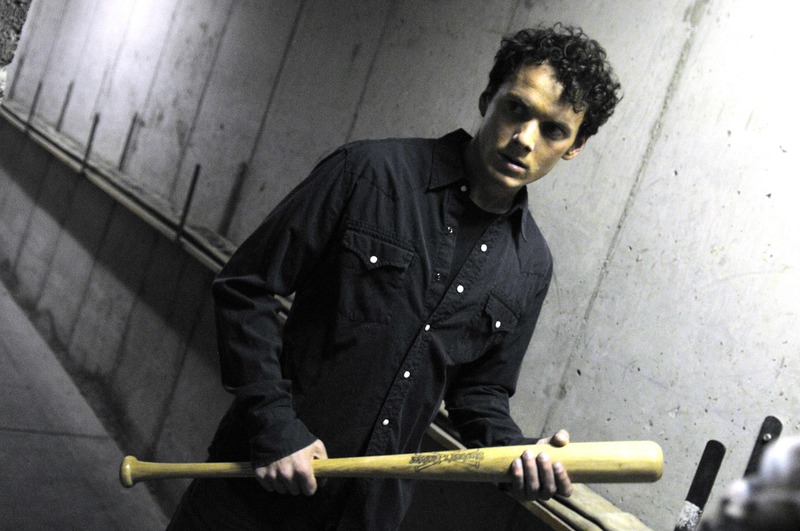 Odd Thomas eventually emerges on the screen after considerable problems. From what one can piece together, the producers of the film launched a lawsuit against distributor Outsource Media who had essentially appropriated some $35 million that would have been used to pay for the film’s theatrical distribution and advertising. This caused the production to have to shut down for several weeks. Eventually, Odd Thomas ended up making only a few film festival appearances and then being dumped direct to dvd – the first of Stephen Sommers’ films to take that route in the US. When you first try to get a grasp on Odd Thomas, Stephen Sommers and Dean R. Koontz seem odd bedfellows. Sommers is a big-budget director who has never met a CGI effect he didn’t want to bombard in an audience’s face. Koontz creates plots that come with tightly wound twists and unexpected turns, whereas plotting is something that Sommers has only regarded as a secondary evil to drive the big effects juggernauts he delivers. When it comes to Odd Thomas, it feels like Koontz’s story is often being trumped by Sommers big effects sequences. Case in point being the opening scene where the ghost of a murdered girl (Ashley Sommers, Stephen’s own daughter) leads Odd Thomas (Anton Yelchin) to find her murderer – a scene where the eerie Sixth Sense (1999)-styled supernatural is quickly drowned by Sommers turning it into a chase sequence with Yelchin and Matthew Daniel Page battering through fences, smashing plasma screen tvs and invading a children’s birthday party and gimmicky effects like Ashley Sommers walking off across the water of a swimming pool. Oddly though, apart from the scenes with hordes of CGI bodachs clambering all over the town, Odd Thomas proves one of Stephen Sommers’ least effects-driven films. Apparently, connecting up with Dean R. Koontz worked wonders for him. It is the characters that engage you far more than Sommers’ spectacle, which is relatively more subdued in comparison to say The Mummy films or Van Helsing. Anton Yelchin and Addison Timlin create a sparkling and vivacious relationship. Sommers writes a constant banter between the two of them that is quirky and funny and which both actors play with conviction. Koontz is determined to do something different rather than serve up the usual clairvoyant detective stories we get – see the likes of Eyes of Laura Mars (1978), The Gift (2000) and the film version of Koontz’s own Hideaway – in which the psychic is simply picking up and piecing together clues to a mundane murder mystery. Here the story throws in a mind-boggling mix of precognitive dreams, predestination, comic ghosts, supernatural creatures and bizarre rules for dealing with the dead. The result becomes something more akin to the mind-stretching weirdness of John Dies at the End (2012) than any of the aforementioned. Where Odd Thomas disappoints is oddly when it comes to what should have been Stephen Sommers’ home ground – wrapping everything up with a sufficiently big climax. Dean R. Koontz is a writer who tends to write his stories in terms of forward momentum that often unravel or seem contrived when you look at them knowing their revelations. Here the Satanic cult angle is not particularly well developed – while the film seems to build to something that Anton Yelchin describes as an apocalypse, a potential mall shooting falls far short of that (nor is exactly the sort of thing that Satanists are known for doing to further their cause). The climax and its relatively quick resolution becomes a letdown. The film also goes out on a coda [PLOT SPOILERS] where Anton Yelchin returns home into the arms of Addison Timlin before the others make him realise that she is dead. This becomes mildly affecting given the strength of the build-up of the relationship but falls into a largely indifferent tragic twist due to the fact that it is yet another Sixth Sense-styled twist revelation.